DULLES, Va., Apr 19, 2010 (BUSINESS WIRE) --Orbital Sciences Corporation (NYSE: ORB), one of the world's leading space technology companies, today announced that it is prepared to launch the first of its Minotaur IV rockets in support of the Defense Advanced Research Projects Agency's (DARPA) Hypersonic Technology Vehicle-2 (HTV-2) program. The Minotaur IV launch vehicle is based on decommissioned Peacekeeper rocket motors that Orbital integrates and upgrades with modern avionics and other subsystems to produce a cost-effective booster based on flight-proven hardware. Subject to final preparations and favorable weather conditions, the mission will originate from Space Launch Complex-8 at Vandenberg Air Force Base, CA, with its first available launch window from 12:00 p.m. to 5:00 p.m. (PST) tomorrow, April 20, 2010. For the HTV-2 mission, Orbital will fly a three-stage Minotaur IV "Lite" version of the rocket to carry out the suborbital flight trajectory. The Minotaur IV will propel the HTV-2 air vehicle into the upper atmosphere, where it will be released. The HTV-2 will then descend at hypersonic speed into the Pacific Ocean near Kwajalein Atoll in the Marshall Islands. The Minotaur IV rocket is the newest in the Minotaur family of launchers that Orbital produces for the U.S. Air Force under the Orbital/Suborbital Program-2 contract. The first orbital mission of the Minotaur IV will take place later this year when it launches the Air Force's Space Base Space Surveillance (SBSS) satellite. 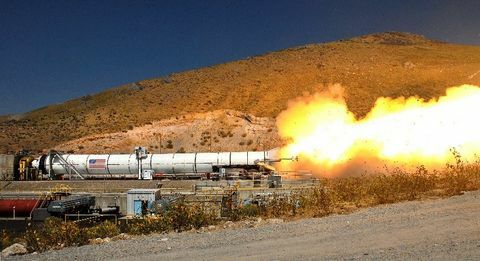 "The first flight of the Minotaur IV rocket ushers in an all-new capability for the Air Force and other U.S. Government customers at a time when reliable, cost-effective missions are at a premium," said Mr. Ron Grabe, Orbital's Executive Vice President and General Manager of its Launch Systems Group. "Building on the outstanding record of the 16 previous flights of the Minotaur family, all of which have been successful, we are excited to begin flying the Minotaur IV rocket for our Air Force customer." The debut of Minotaur IV begins a series of launch vehicle system introductions that will highlight Orbital's position as the most active current developer of new rocket systems in the world. Beginning with Minotaur IV, Orbital is scheduled to complete the development and carry out the first flights of five new space and strategic launch systems in the next two and a half years. 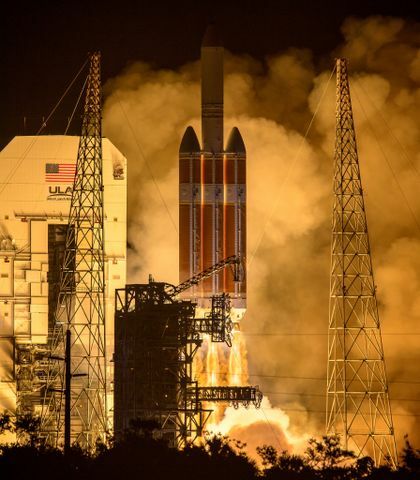 The four other launch vehicles are the Launch Abort System for NASA's Orion program, the two-stage interceptor booster for the Missile Defense Agency's Ground-based Midcourse Defense system, the Taurus II medium-class space launch vehicle for NASA and other customers, and the Air Force's Minotaur V rocket that is scheduled to launch NASA's LADEE lunar mission in 2012. Mr. Grabe also stated, "With the introduction of several new space launch vehicles in the next couple of years, combined with our heritage Pegasus, Taurus and Minotaur vehicles, Orbital will offer its defense and intelligence, civil government and commercial satellite customers the world's most complete and proven line of launchers for small- and medium-class satellites weighing up to 12,000 lbs." DARPA's HTV-2 program objective is to create new technological options that enable capabilities that urgently address threats to U.S. national security. 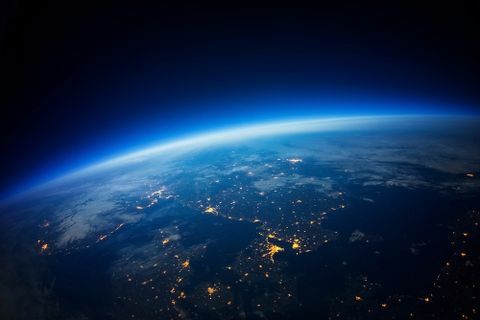 The program is developing and testing an unmanned, rocket-launched, maneuverable, hypersonic air vehicle that glides through the Earth's atmosphere, at speeds of Mach 20 and above. The key technical challenges of the HTV-2 program are the design of an innovative high lift-to-drag aerodynamic shape, advanced lightweight but tough thermal protection structures, materials and fabrication technologies, autonomous hypersonic navigation guidance and control systems, and an autonomous flight safety system. The Minotaur IV space launch vehicle leverages the flight-proven heritage of Orbital's Minotaur I, Pegasus and Taurus space launch vehicles to provide a reliable, capable and cost-effective space launcher. Minotaur IV utilizes three government-furnished solid rocket motors from decommissioned Peacekeeper ICBMs and a commercial solid rocket upper stage. Minotaur IV builds on a long heritage of launch systems with over 50 flights of each core stage and is capable of launching payloads up to 3,800 lbs. (1,730 kgs.) to low Earth orbit.